516, Lok Nayak Bhawan, New Delhi. 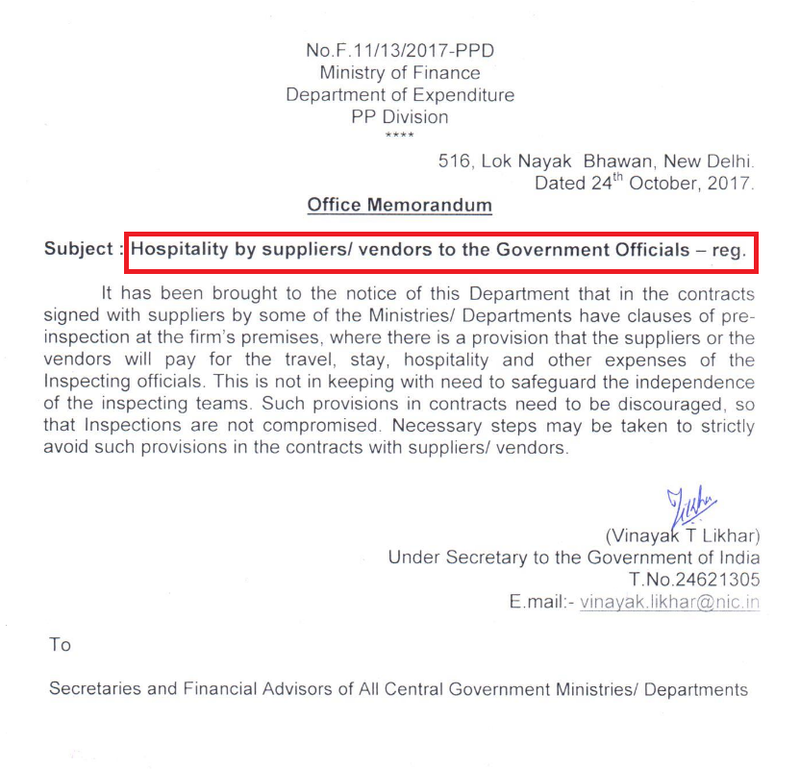 Subject : Hospitality by suppliers/ vendors to the Government Officials - reg. It has been brought to the notice of this Department that in the contracts signed with suppliers by some of the Ministries/ Departments have clauses of pre-inspection at the firm’s premises, where there is a provision that the suppliers or the vendors will pay for the travel, stay, hospitality and other expenses of the Inspecting officials. This is not in keeping with need to safeguard the independence of the inspecting teams. Such provisions in contracts need to be discouraged, so that Inspections are not compromised. Necessary steps may be taken to strictly avoid such provisions in the contracts with suppliers/ vendors. 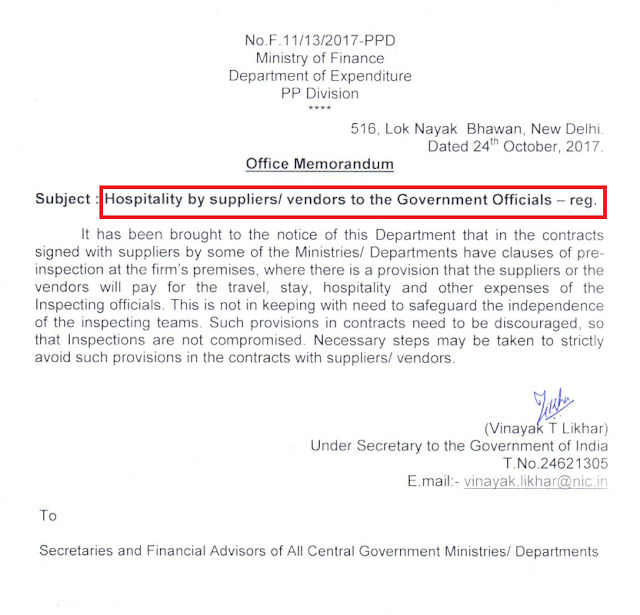 suppliers or the vendors will pay for the travel, stay, hospitality and other expenses of the Inspecting officials. This is not in keeping with need to safeguard the independence of the inspecting teams.